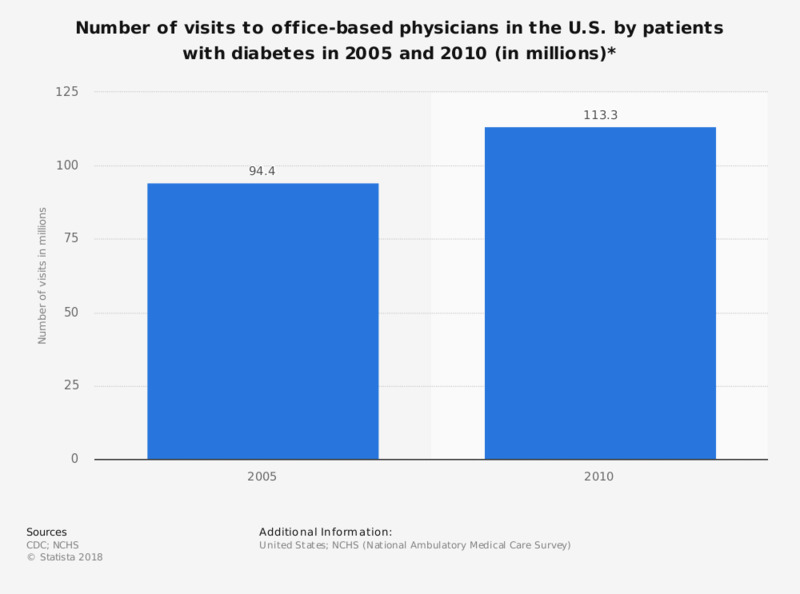 This graph shows the number of visits to office-based physicians in the U.S. by patients with diabetes in 2005 and 2010. Between 2005 and 2010, the number of visits by diabetic patients increased by around 20 percent. * Diabetes must not be primary diagnosis.